How Can My Aging Parent Still Go On Vacation? Everyone needs a little time away whether you’re a caretaker or an elderly individual with dementia. Going on vacation with a person who has any form of dementia, whether it’s Alzheimer’s or Parkinson’s, requires much more planning than usual. In the early stages of dementia, a person may enjoy traveling very much and actually remember it as a wonderful experience. As the disease progresses, travel and vacations become a little complicated. The individual with moderate to advanced dementia does not have the ability to comprehend complex thinking and problem-solving skills they once did. The main consideration should always be the comfort and safety of your aging loved one. Because routine and familiar faces are extremely important to the person with dementia, it is best that he or she never travel alone and has a familiar adult travel companion. A family member and or caretaker would definitely decrease any anxiety already present and make all the difference. It is imperative to provide for all necessities to make traveling as non-stressful as possible for the person with dementia. He or she is more sensitive to loud noises, crowds, fatigue, hunger, and overstimulation. Communication is also difficult which means it will be hard to express any needs. There is a need for constant reassurance and explanations as to what is happening at any given moment. Traveling during the most productive part of the day for the person with dementia will prevent episodes of Sun Downers from happening. Adhering to familiar and known destinations that were familiar before the onset of dementia will be of great benefit since the scenes may trigger memories and allow relaxation. Having a carry-on bag of essentials with medications, change of clothing, emergency information, water, food, and photocopies of appropriate legal documents will make the trip easier for all involved. If traveling by plane, making accommodations will include priority seating and the use of a wheelchair due to the length of walking and exhaustion. Changes in environment can also trigger wandering and agitation. Always allow for extra time since the status of the person with dementia is extremely unpredictable. 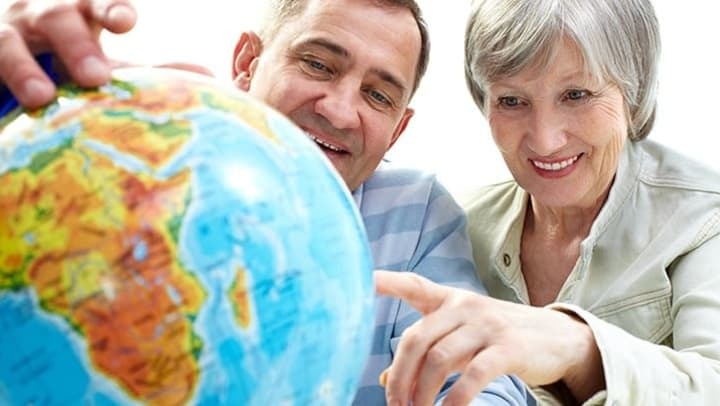 A long flight and overseas trip are not recommended for people with dementia since even with the best planning and accommodations their routine cannot be followed and an exacerbation of symptoms will occur. Planning the entire vacation must be done carefully, by all caretakers and companions. The intentions of family members who haven’t seen a parent with dementia for a long time must take the parent’s condition as the first priority. It may be that the family will have to visit the parent in his or her comfort zone, if only for a day at a time.